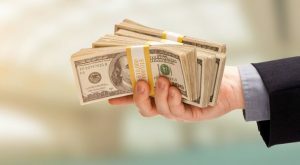 Wall Street’s major exchange-traded fund (ETF) providers are benefiting from a rising tide of investor money, with ETF assets surpassing the $3 trillion mark in July thanks to a robust month’s worth of inflows. But these gains haven’t been easily made — ETF providers are scratching and clawing away at their own fees, creating a growing pile of extremely cheap index funds. Individual investors now have their choice of cheap index funds, with literally dozens of ETFs providing broad exposure to stocks, bonds and other assets for literally fractions of a penny on the dollar. That’s important, as saving even a couple basis points in expenses can add up to big returns when compounded over several decades. If you’re only starting to put together your portfolio, or you’re looking to replace some of your more expensive holdings, you can start your search with this list of seven dirt-cheap index funds — most of which charge less than $10 a year on a $10,000 investment — that provide exposure to some of the most common and important investment types on the market. The iShares Core S&P 500 ETF (NYSEARCA:IVV) is, in a nutshell, “the market.” When people talk about the stock market, they’re often referring to the S&P 500 — that ubiquitous group of 500 American large-cap companies that’s considered to be representative of the U.S. economy. The S&P 500 is the benchmark for the performance of hundreds of mutual funds and ETFs, as well as other forms of money management … and considering that most funds can’t beat the S&P 500, it’s not a bad idea to join it. IVV is one of three major ETFs that allow investors to accurately track the S&P 500, which means an investment in big, blue-chip stocks such as Apple Inc. (NASDAQ:AAPL), Johnson & Johnson (NYSE:JNJ) and Berkshire Hathaway Inc. (NYSE:BRK.B). A fee cut in 2016 also made IVV the cheapest way to invest in the S&P 500 — at least for a few months, until Vanguard trimmed its expenses on the Vanguard S&P 500 ETF (NYSEARCA:VOO) to 4 bps to match. In fact, you can’t go wrong with either fund if you’re looking for basic large-cap exposure. Check out IVV’s provider page for more information. 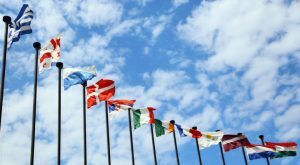 Investing in international stocks typically is a bit more expensive than obtaining U.S. exposure, but Schwab International Equity ETF (NYSEARCA:SCHF) provides access to the rest of the world for a relative song. For just 6 basis points, Schwab’s SCHF plugs you in to a portfolio of roughly 1,300 stocks spanning more than 20 “developed” (read: more economically stable) countries on four continents. At the moment, SCHF is heavily invested in stocks from Japan (21.6%) and the United Kingdom (15.9%), which does introduce a decent amount of single-country risk, but isn’t unusual for broad-market developed-market ETFs. From a sector standpoint, financials (22.7%) such as Britain’s HSBC Holdings plc (ADR) (NYSE:HSBC) make up the largest sector weight, while industrial (14.2%), consumer discretionary (11.6%) and consumer staples (10.7%) stocks also comprise a significant portion of the fund. SCHF also sports a dividend of about 2.2%, which is a bit more than you’ll get from the S&P 500 — another typical trait of international blue-chip ETFs. Check out SCHF’s provider page for more information. You can get substantial yield from American blue chips, too. But the way to do it is through ETFs that are specifically targeted toward higher yielders rather than an unfocused blend of large-caps. The iShares Core High Dividend ETF (NYSEARCA:HDV) is one such high-income ETF that invests in a 73-member murderer’s row of mega-cap companies averaging $144 billion in market capitalization. Exxon Mobil Corporation (NYSE:XOM), AT&T Inc. (NYSE:T) and Procter & Gamble Co (NYSE:PG) are among a number of Dividend Aristocrats — companies that have increased their regular dividend payouts annually for at least 25 consecutive years — that form the backbone of this fund. Put simply: You’re not tacking on much risk for this 3.4% yield, which stands roughly 140 basis points better than the S&P 500. Check out HDV’s provider page for more information. 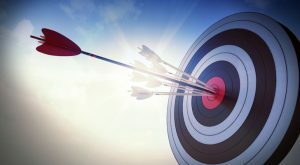 While large-cap stocks should be the foundation of any portfolio, every investor should also be invested in mid-cap stocks, which are essentially the “sweet spot” of company size. The theory goes that mid-cap stocks — companies between $2 billion and $10 billion in market capitalization — typically have more growth potential than their more established large-cap brethren. Of course, small-cap stocks have a world of upside potential too, but mid-caps have significant financial advantages (such as better access to capital) that small caps don’t, meaning they won’t be as susceptible to economic and market tumult. Which is why every year you’ll see one or two stories extolling the virtues of mid-caps and their superior risk-adjusted returns compared to large- and small-cap stocks. 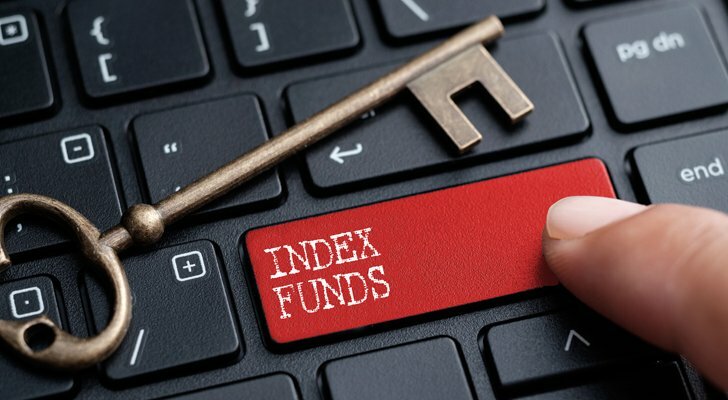 Vanguard Mid-Cap ETF (NYSEARCA:VO) is among the cheapest index funds to invest in this space, holding 348 stocks such as Fiserv Inc (NASDAQ:FISV), Newell Brands Inc (NYSE:NWL) and Western Digital Corp (NASDAQ:WDC). Check out VO’s provider page for more information. Technology is encroaching on nearly every aspect of human life, from commerce to entertainment to healthcare and more. Thus, the economy is increasingly dependent on technology, whether it’s consumer software and products, or programs and chips that power everyday functions. It’s one man’s opinion, but every investor should be invested in technology, as all signs point to continued growth in the foreseeable future. And the cheapest way to do that at the moment is the Fidelity MSCI Information Technology Index ETF (NYSEARCA:FTEC). Right now, Fidelity is the leader in cheap sector index funds, undercutting State Street’s dominant Select Sector SPDRs and even low-cost Vanguard’s sector offerings. For just 8.4 bps, FTEC puts you behind the wheel of a 362-holding portfolio of mostly large-cap tech. 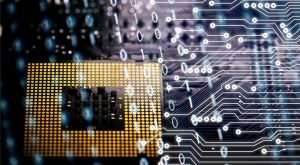 That means consumer-focused plays such as Apple and Facebook Inc (NASDAQ:FB), enterprise-minded companies such as Microsoft Corporation (NASDAQ:MSFT) and Cisco Systems, Inc. (NASDAQ:CSCO), and even businesses focused on the innards, such as chipmaker Intel Corporation (NASDAQ:INTC). No, not every current FTEC holding is going to be standing 10 or 20 years from now. The tech space is awash in cash-rich competition and plucky upstarts, so some of these holdings may be on their way down. But they’ll be replaced by other, growthier plays as time progresses, keeping you on the winning side of technology’s perpetual rise. Check out FTEC’s provider page for more information. Bonds are boring. It’s not kind, but it’s true. Bonds don’t churn out iPhones, causing Wall Street to freak out every few days over the latest feature rumors. Bonds don’t have scandalous CEOs getting thrown out of the C-suite. And as a result, stocks tend to take all the attention away from bonds. That doesn’t mean bonds aren’t important. Bonds provide a diversified source of investment income over time, and can at times prop up your portfolio when stocks are slumping. And investors can gain quick, cheap exposure to the bond world via cheap index funds such as the Schwab U.S. Aggregate Bond ETF (NYSEARCA:SCHZ), which holds a number of highly rated debt securities. SCHZ’s nearly 3,300 holdings include U.S. Treasury bonds, mortgage-backed securities, debt issued by corporations, municipal bonds and a few other styles of debt. The fund has an average maturity of about eight years, so you’re getting a mix that isn’t so long that it’s heavily sensitive to interest rates, but not so short that you’re receiving next to no income. 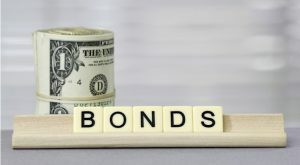 Instead, with SCHZ, you have a balanced bond blend that offers a modest 2.3% in yield, with just 4 basis points going to Schwab, and the rest in your pocket. Check out SCHZ’s provider page for more information. Most people know that high-yield bonds — typically referred to as “junk” — are a great place to seek out substantial income. However, all junk isn’t created equal. 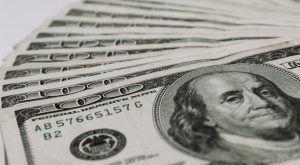 The iShares Fallen Angels USD ETF (NASDAQ:FALN), as the name suggests, invests in so-called “fallen angel” bonds, which are bonds that previously held investment-grade status, but have fallen in quality. However, because much of this debt has only recently fallen to junk status, it tends to be better-rated as a whole than most other funds’ batches of junk debt. In the case of FALN, 73% of the portfolio is in BB territory — the highest rating group for junk bonds. Another 21% is B-rated, with the last tiny chunk of assets split between cash and CCC-rated bonds. While this debt is theoretically safer as a whole than many other ETFs’ baskets of junk, you still earn a 5.1% SEC yield from this fund, which is actually better at the moment than what’s on offer from the two major junk ETFs — iShares iBoxx $ High Yield Corporate Bond ETF (NYSEARCA:HYG) and SPDR Bloomberg Barclays High Yield Bond ETF (NYSEARCA:JNK). Plus, while FALN’s annual expense ratio of 25 bps is lofty compared to the other funds on this list, it’s considerably lower than both HYG and JNK, as well as most other junk offerings. Check out FALN’s provider page for more information. Article printed from InvestorPlace Media, https://investorplace.com/2017/08/7-cheap-index-funds/.